Tennessee Governor Bill Haslam as well as the state’s two U.S. 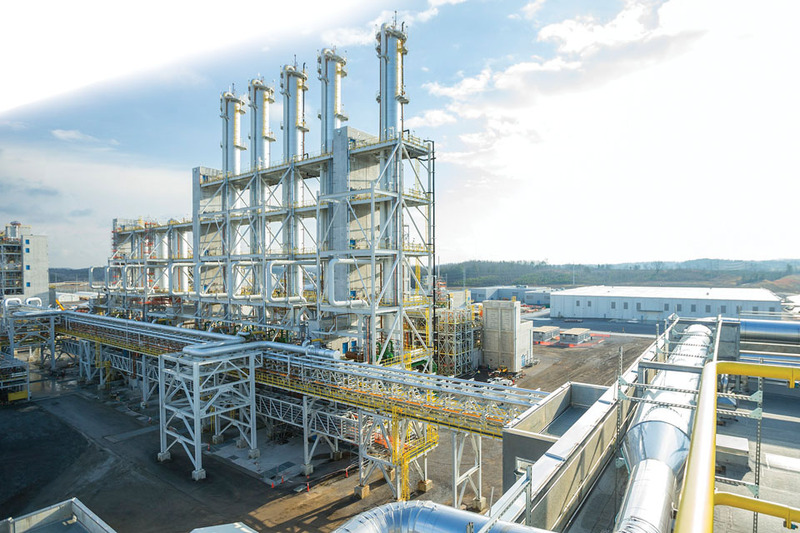 Senators, Lamar Alexander and Bob Corker, were on hand in Charleston, Tennessee on April 18, 2016 when Wacker Chemie AG officially opened its new polysilicon production plant. A century-old Munich, Germany-based company, Wacker had been operating in the U.S. since 1965, now with sites in Michigan, Pennsylvania, Kentucky, California, Ohio, Iowa, Georgia, and Tennessee. The facility in Tennessee, however, marked the largest single investment in the company’s history, totaling approximately $2.5 billion, and the largest single private manufacturing investment ever made in Tennessee. Wacker was one of the earliest pioneers in the production of hyperpure polysilicon and today ranks among the world’s market leaders in this key material for advanced applications in solar energy, photovoltaics, and semiconductors. Several factors impacted Wacker’s decision to locate in this part of the Volunteer State. The package of incentives included commitments from federal, state, and county governments. And importantly, there was an excellent transportation infrastructure in place, a reliable source of water and electricity from TVA, and a supply of chlorine critical to the production of polycrystalline silicon. 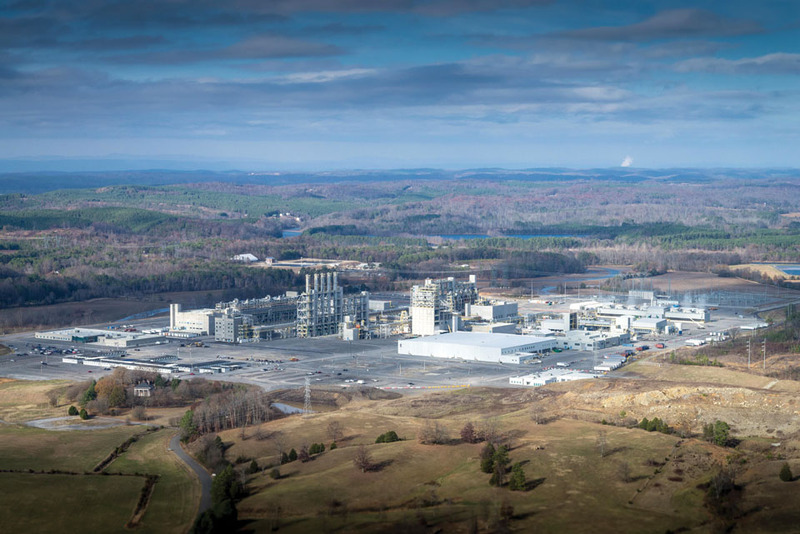 Wacker’s operation is located on 550 acres in the rolling Tennessee hills, and is one of the most modern facilities of its kind in the world. 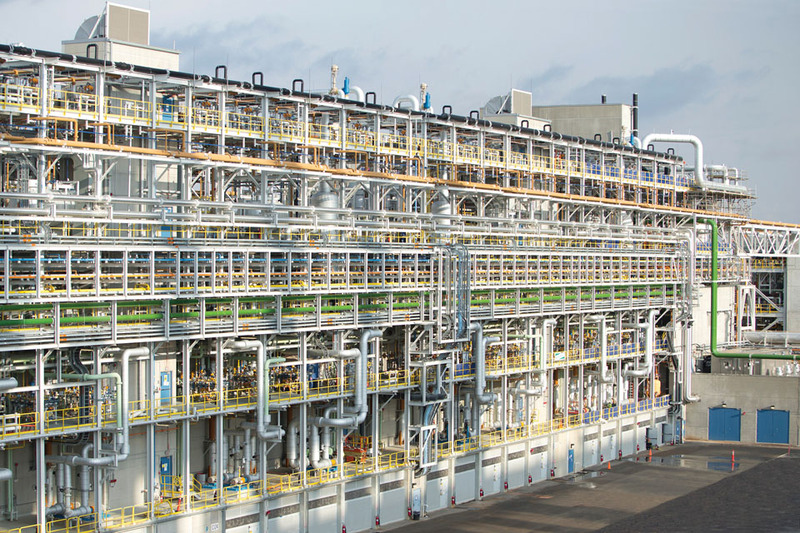 At full capacity, the plant will annually produce about 20,000 metric tons of polysilicon. The production building and distillation towers are integral parts of the Charleston, Tennessee Wacker operation. Wacker has played a key role in boosting the local economy with the addition of 650 full-time positions. The company’s work force includes employees from salaried, professional and administrative functions as well as hourly skilled production workers, skilled trades, and general labor. Since the production of hyperpure polycrystalline silicon is a complex and highly sophisticated technical process requiring advanced technical/chemical training, usually some form of college or technical training degree or commensurate experience is required for those positions. For that reason, Wacker collaborated with Chattanooga State Community College to form a program that will ensure future employees would be fully trained and ready to work at the company’s plant. The “Wacker Institute,” as the program is known, is a world-class facility where students receive a state-of-the-art education that prepares them to work in the chemical industry. In addition to its impact on the local economy, Wacker has never wavered in its goal of improving the quality of life in the local community. A supporter of United Way, Wacker partnered with the organization for “Make a Difference Day,” a national day of community service. In addition to supporting local projects with the greatest need, Wacker donated financially and with employee volunteer hours. Wacker has also awarded thousands of dollars in scholarships to students in Cleveland and Bradley County schools. The company’s support of Habitat for Humanity, Hiwassee River Heritage Center, and other civic and charitable organizations underscores Wacker’s passion for being a responsible corporate citizen.